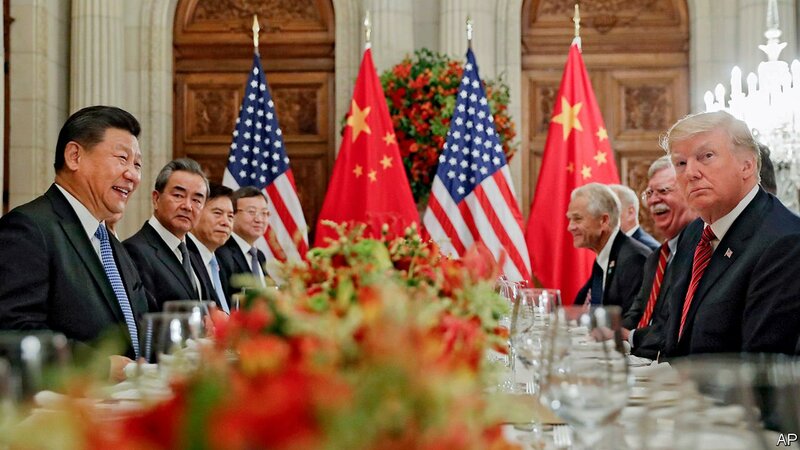 AFTER A WORKING dinner between Presidents Donald Trump and Xi Jinping on December 1st, it seemed as if a truce had been called in their two countries’ rumbling trade war. “This was an amazing and productive meeting,” said Mr Trump. But the truce is already at risk of unravelling. On December 5th Canada’s justice department said that, on the same day that the two presidents dined, it had arrested Meng Wanzhou, the chief financial officer of Huawei, a Chinese maker of telecoms equipment, at America’s behest. For China, that looks like a political salvo. Huawei is a pillar of the Chinese economy—and Ms Meng is the founder’s daughter. The fate of the trade talks could hinge on her encounter with the law.